In the normal course of events, when you die your property passes as directed by your Florida will or trust. The courts will typically not second-guess your estate planning choices. If you want to leave a greater share of your estate to one child–or give your spouse everything and your adult children nothing–that is your business. 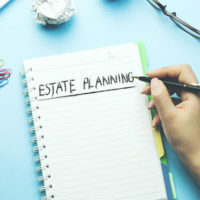 Of course, if you die without an estate plan, then Florida’s intestacy laws automatically determine who gets any assets that you owned and are subject to probate. But what if a beneficiary named in your will is actually responsible for your death? For example, there was a case in 2015 where a Florida woman murdered her husband and his mother. Her motive, according to court records, was to obtain her husband’s considerable fortune “upon his death.” The husband’s will expressly provided his wife would inherit everything if his mother did not survive him. Obviously, allowing people to commit murder in order to accelerate their inheritance under a will would lead to all sorts of horrific consequences. For that reason the Florida legislature enacted what is commonly known as the “Slayer Statute.” Under Section 732.802 of the Florida Statutes, a survivor “who unlawfully and intentionally kills or participates in procuring the death of the decedent is not entitled to any benefits under the will or under the Florida Probate Code.” In plain English, if you kill someone, you lose all rights to inherit from their estate under either the will or Florida intestacy law. In another case from 2014 here in the Fort Myers area, a man was convicted of murdering his wife. The daughter of the deceased–who was the murderer’s stepchild–filed a wrongful death lawsuit against him. On appeal, the murderer argued that he was the “surviving spouse” and therefore the daughter could not bring a claim under Florida’s Wrongful Death Act. The daughter replied that the murderer’s own actions “precluded his claim to surviving spouse status by operation of the ‘slayer statute.’” The Second District Court of Appeal agreed, noting that for legal purposes, the murderer “must be treated as if he predeceased his wife,” allowing the daughter to proceed as a survivor. Need Independent Advice on Your Florida Will or Trust? You generally cannot make an estate plan based on the fear a relative may kill you. But there are many more cases where you may fear a relative is exercising undue influence to obtain favorable treatment in your will or trust. This is why you need to have an independent and qualified Fort Myers estate planning lawyer looking out for your interests. Contact the Kuhn Law Firm, P.A., today at 239-333-4529 to schedule a free initial estate planning consultation. Fiel v. Hoffman, Florida Fourth District Court of Appeal, July 29, 2015. Cosman v. Rodriguez, Florida Second District Court of Appeal, Dec. 17, 2014.